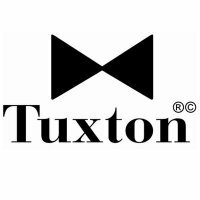 Tuxton has recently launched its brand new Linx Collection of dinnerware. The collection features an assortment of uniquely designed trays, cups and bowls. The assortment and their thoughtful design allows operators to perfectly marry a customized look with practical service. Both tray designs feature a well into which any of the cups or bowls fit snugly. This is a very useful feature that makes for an easy delivery from kitchen to table. Also, the pairing of a tray with any one of the bowls, cups or mini serving dishes allows for serving a main course and a side all in one package. The Linx line is in stock and ready to ship. Click here for more information on the Linx Collection.